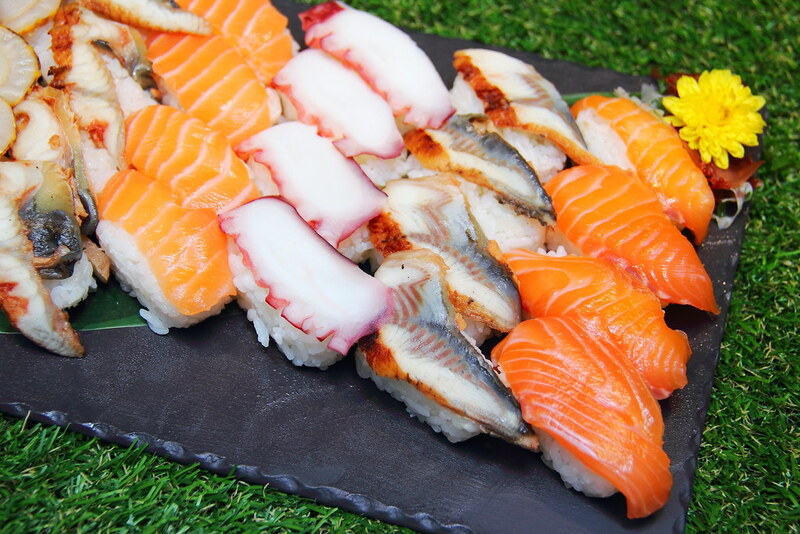 Just right before the onset of the festive season, Melt Cafe at Mandarin Oriental decided to celebrate the last bit of the year with a Japan Food Fair. Diners of Melt Cafe get to enjoy a wider selection of Japanese food specially prepared for a limited period of time from 23 November to 4 December 2016 (dinner only). For a complete experience, there is even sake to complement the promotion. That is rather rare for a buffet setting. 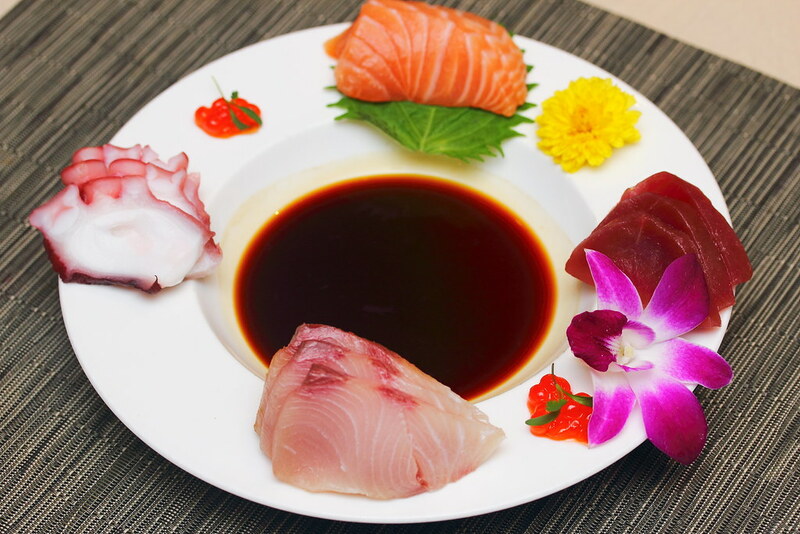 Start off your meal with a plate of fresh Sashimi. If you like hamachi, theirs won't disappoint you with the thick cuts. I like their cute little triangular California roll with tobiko which has a balance of the vinegary rice and sweet filling. 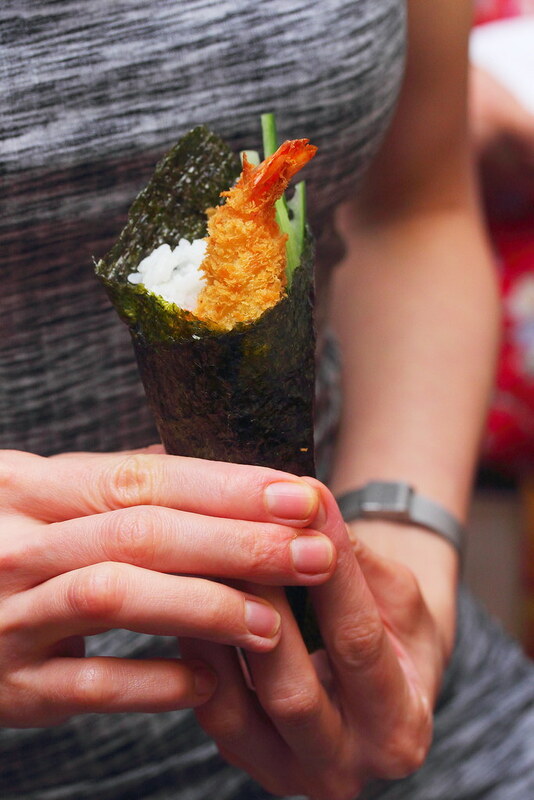 Upon request, hand rolls are made ala minute to ensure that the seaweed is still crispy when delivered into your mouth. 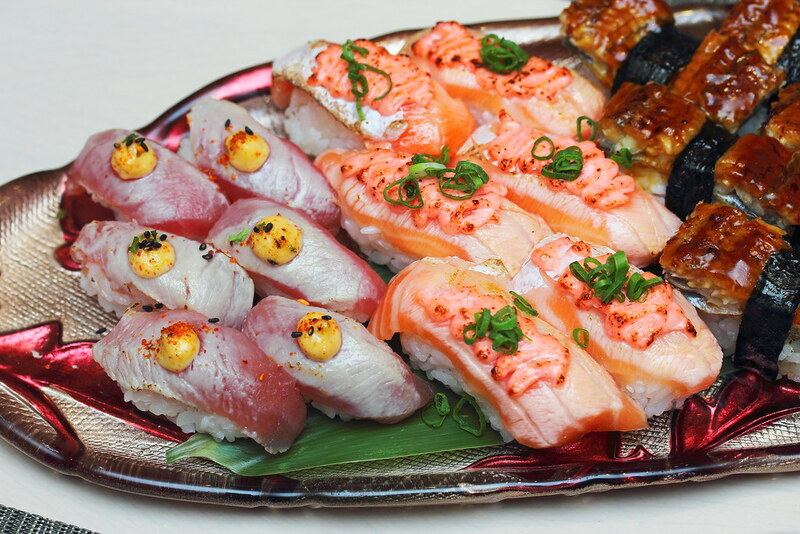 Especially for their Ebi Tempura Hand Roll. The ebi tempura was still warm when I had it. The crust was crispy and the ebi remained firm and succulent. 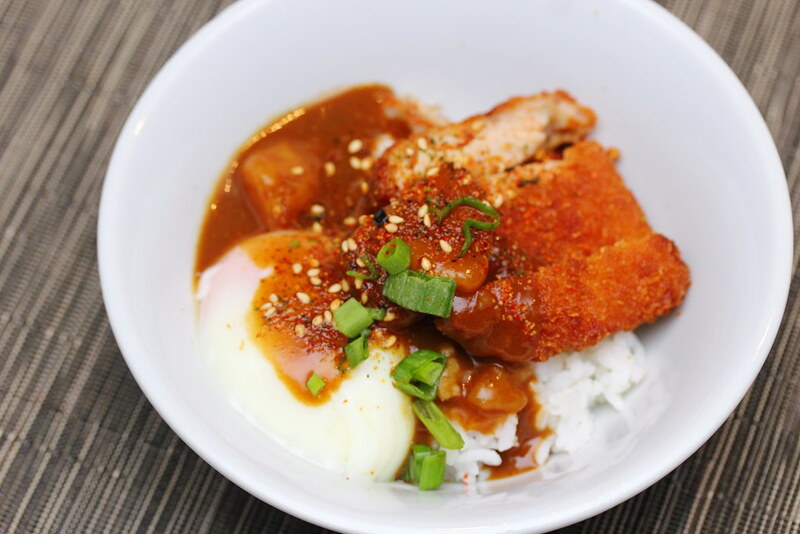 What I really want to highlight is the Japanese curry station which offers both Pork and Chicken Katsu Curry. The light and airy batter seems to have successfully locked in all the juice of the meats, resulting in an extremely tender and moist texture. It was such an indulgence to have an entire onsen egg to glaze over the mini curry don with its creamy egg yolk. What I regretted not doing there and then, was to ask for another scoop of the curry - robust with a spike of fiery, this curry don is certainly one of the most memorable so far. 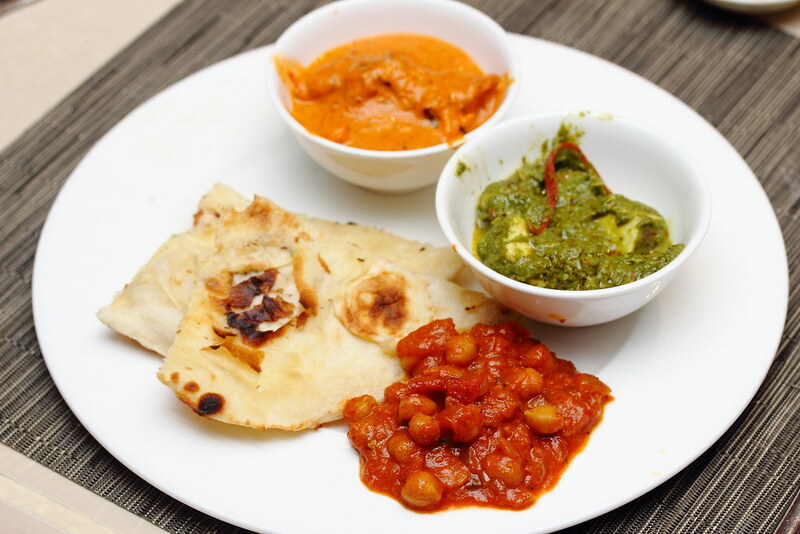 Melt cafe is also popular for their Indian cuisine. Their live nann station, serving fresh garlic and cheese naan are the best companions for the selection of curries and tandoori. Their curries were complexities with multitude of spices and ingredients. Despite finding them relatively creamy, I find it hard to stop after a few spoonful of it. During this Japanese Fest, there are a few unique desserts specially crafted for the occasion. 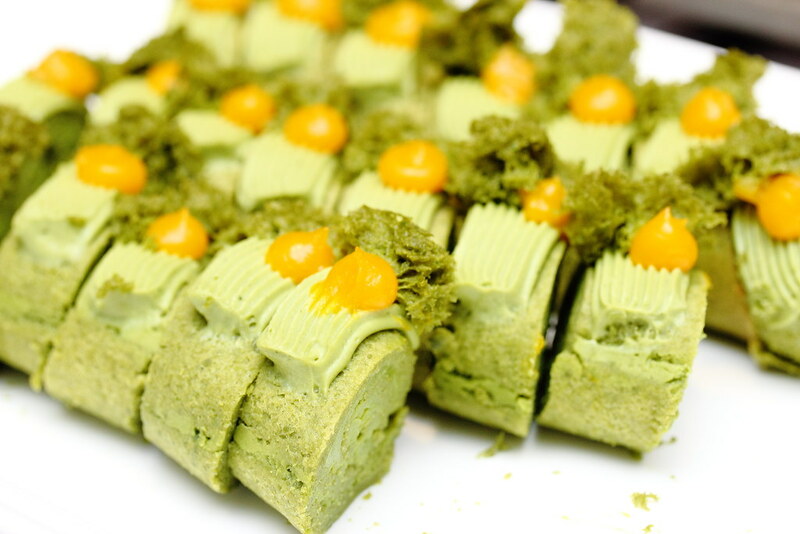 There are the standard Green Tea Swiss Roll as well as the Green Tea Yuzu Cake. While the latter has a interesting tangy twist to its matcha flavour, I still prefer the simpler pure green tea swiss roll which exudes its matcha elegance. Never walk away without a slice of Melt Chocolate Cake- moist and spongy with bitter sweetness. 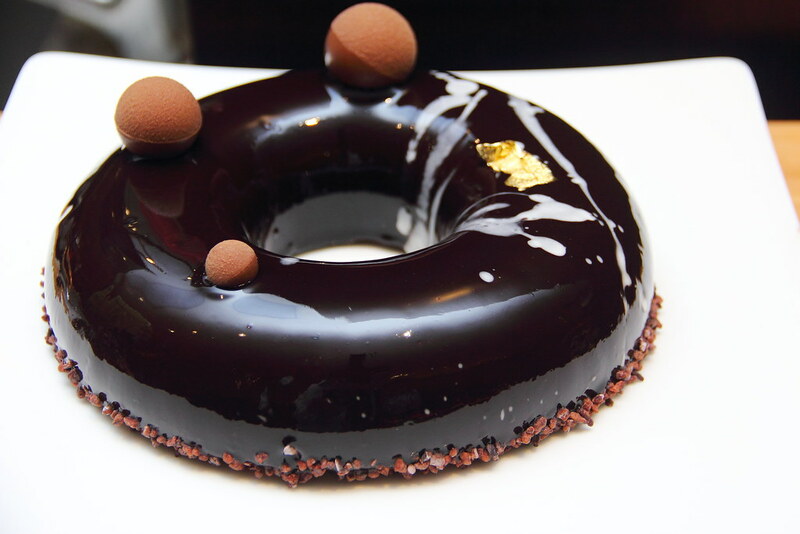 This is one of the ultimate chocolate cakes to have. 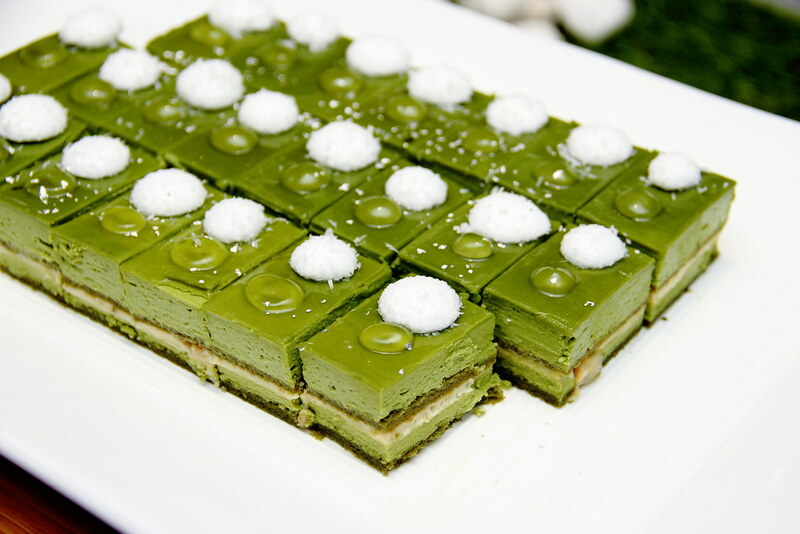 The other humble looking classic pandan cake may surprise you with its comforting pandan aroma and sweetness. Last but not least, their Homemade Ice Creams. 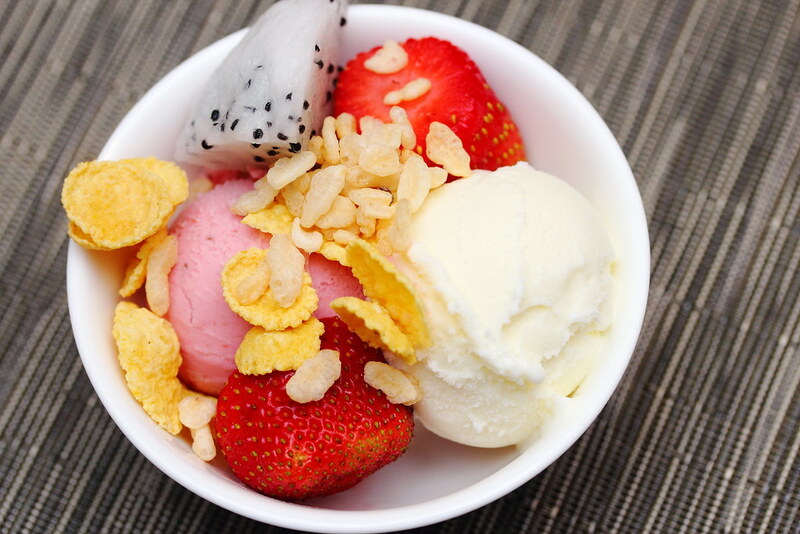 The sweetness of ice creams usually make your throat stick but theirs are almost thirst quenching. My favourites are their yogurt, strawberry, chocolate etc... Almost all flavours! 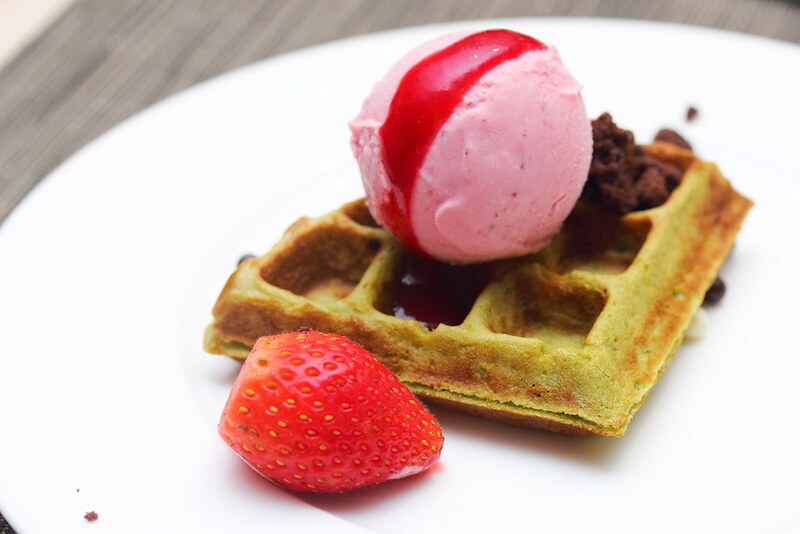 Just choose all to pair with your Green tea waffles. Available only for 2 weeks before the advent of the Christmas season, do make a date with Melt cafe soon! - $75 per person (Monday to Thursday) inclusive of free flow of juices additional $20 per person for free flow of house wines, beer and soft drinks. - $85 per person (Friday and Saturday) with barbecue and inclusive of free flow of juices additional $20 per person for free flow of house wines, beer and soft drinks.